At present, India has only 75 operational airfields with scheduled operations. To put this into perspective, India has fewer airports than the United Kingdom, a country 13 times smaller in area. India is a vast country being the seventh largest and the second most populous in the world. An endeavour to grapple with its vastness was made a few decades back by the British and then by the Indian military in terms of advanced landing grounds (ALGs) during the many wars the country has seen. Out of the 450 airstrips, that dot India’s geography, only a few were developed, almost all in major cities. At present, India has only 75 operational airfields with scheduled operations. To put this into perspective, India has fewer operationalised airports than the United Kingdom, a country 13 times smaller in area. Another important statistic is that India’s 75 airports are mainly in urban locations servicing only its urban population that is at about 32 per cent. What about the remaining 68 per cent? This is the question that the government has tried to answer with its soon to be operationalised, Regional Connectivity Scheme (RCS), a dream project which waits in the corridors of the Rajiv Gandhi Bhawan, ready to roll, and bring with it, hope for the unconnected 68 per cent citizens of India. These citizens have hithertofore either re-purposed these airstrips into ad hoc cricket grounds, or grazing fields for the local cattle. At times they are hurriedly shooed away by the police on the rare occasion that small aircraft or helicopters bring in state dignitaries or VIPs. These citizens are aware of the potential that air connectivity can bring to their region, and are waiting for the chance that this accessibility be brought within their reach as well. Undoubtedly, the scheme will have a multiplier or an exponential effect on two fronts, viz, ‘development of small towns’ and ‘integration of these citizens’ with the population living in metros in India. An existing proof of this multiplier effect is seen in Gaya developing into a tourist town and Raigarh into an industrial hub. The decision to develop Gaya airport was made in 1998, and the town hasn’t stopped growing since. It is the only international airport in Bihar and rolls in big revenue with the foreign tourists and pilgrims who fly in. The BAOA’s forthcoming study on business aviation in India, chapter two, depicts how the presence of an airfield and air transport operations changed the life of people in the remote town of Raigarh. However, doubts do exist since a foolproof plan of action is yet to be charted. For a scheme this large and ambitious to be successfully realised, a seamless execution is imperative. While the ministry has taken the first step and laid out a policy, it is up to the entire industry to participate, by giving inputs for shaping its next stage – implementation. In this article, an attempt has been made to unfold the canvas on how the scheme is perceived to roll out. Thereafter, some of the major hurdles to successful implementation have been listed. Approximately 400 RCS airports would be brought into the RCS map over the next 10 years. Every year, the government would aim to commence operations at approximately 80 airports. 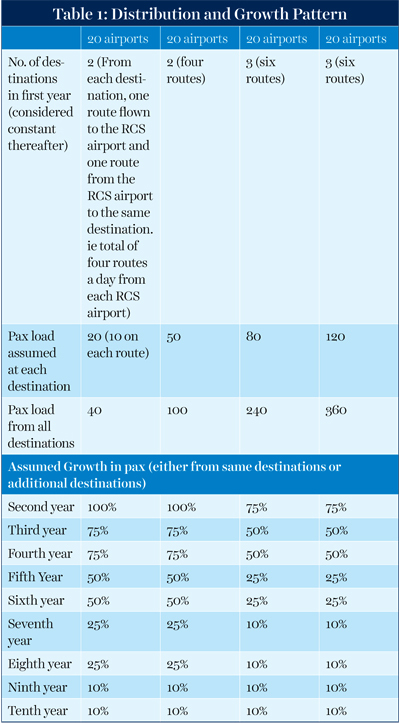 In this manner, by the fifth year, RCS operations would have commenced on all 400 airports (Refer Table 2). Passenger traffic will vary at these airports. It has been assumed that out of the 80 airports every year, one-fourth or 20 airports will witness pax load from any destination, of 20 or 10 each way, demanding employment of 10-seater aircraft. 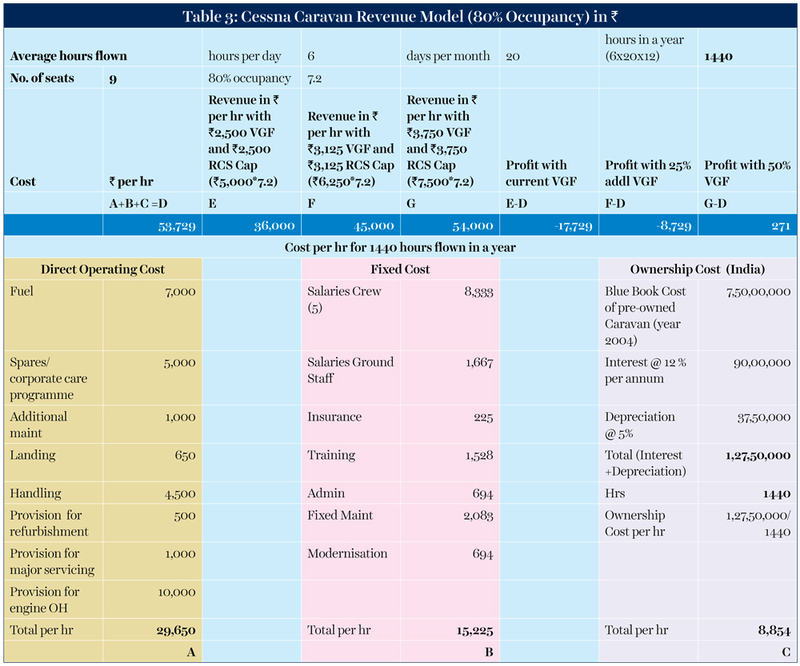 Likewise, in Table 2 and 3, similar assumptions have been made for balance of the 80 airports. Again, each of these airports will have flights arriving from more than one destination every day. Number of destinations in the first year have also been assumed in the tables. Self-sustaining mode is assumed when the pax load from any destination at an airport reaches a figure which can be serviced by a 180-seater aircraft. As seen from the table, by the end of 10th year all 400 airports should be in a position to offer a commercially self-sustaining mode of operations, thereby calling for the RCS to a close or, depending upon the extent of its success, the government may perhaps extend the scheme to other potential locations. 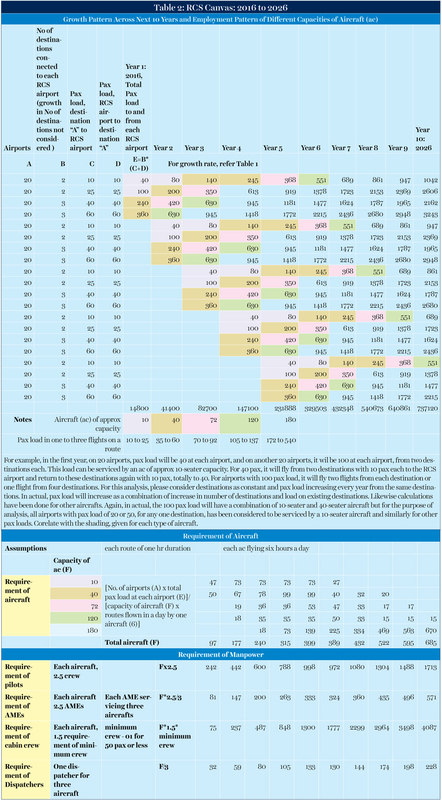 A detailed analysis with an aim to analyse requirement of various capacity aircraft, every year, is carried out in Table 2. In addition to aircraft, requirement of some of the technical manpower has also been analysed. There will be many such manpower issues which will need to be addressed. Some suggestions have been given in the section ‘Training and Infrastructure’. By structuring the government support, i.e. Viability Gap Funding (VGF) around the 72 to 100 seater aircraft like the ATR 72s or Q400s, government has failed to appreciate the role of small aircraft in the success of the scheme. It is a well known fact that a higher capacity aircraft will always be more economical to operate but, plying a 72-seater aircraft on a route with passenger load of 40 or plying a 40-seater aircraft on a route with passenger load of 10, can prove commercially disastrous. Therefore, for the RCS to be successful, the government should also be looking at the participation of smaller aircraft. Many of the routes would commence with small nine-seater aircraft and thereafter transit to 40-seater to 80-seater – 120-seater to 180-seater aircraft, in that order. Once the route is well served, the small aircraft will need to either be re-utilized for charters or look to initiate another unserved/underserved RCS airport. From the Table 2, it is also evident that as the scheme stabilises, almost all of these airports would be served by 180-seater jet aircraft. 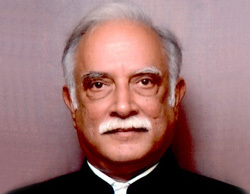 Therefore, the government needs to have a progressive VGF model by keeping the VGF that has been announced, applicable only for the 72 to 100-seater capacity aircraft and progressively increasing the same, for example, 25 per cent additional VGF for 40-seater aircraft and 50 per cent additional VGF for 10 to 19-seater aircraft. Even with 50 per cent additional VGF, state government support in the form of underwriting of seats would be required to ensure minimum 80 per cent seat utilisation. Additional support as described in succeeding paras would also be required. There were some attempts made to increase the seating capacity of small aircraft like Cessna Caravans. World over, there are some countries which permit nine-seat operations on a Cessna Caravan (including India) and then there are countries which permit 12-seat operations on the same aircraft. The government would help the cause of RCS, if it permits capacity enhancement of small aircraft, especially if the solutions already exist in the world. Again, permission of single-pilot operations on small aircraft (like permitted in many countries) could also encourage the small aircraft operators to participate. In European countries, where the bank rates of interest (ROI) are as low as 2 per cent (sometimes even negative), the operators need to fly approx 400 hours a year to break even. In India, because of the interest costs and increased depreciation (aircraft are generally parked outside because of inhibitive exorbitant rentals), the operators need to fly approximately 1,500 hours to break even. Therefore, just the ownership costs alone, discourage investment in aviation sector. Due to high rates of interest, majority of the aircraft operators especially scheduled operators, bring aircraft on foreign lease rentals. They are willing to take the risk of dollar appreciation by bringing in aircraft on lease rather than outright purchase by taking a loan at 12 to 14 per cent ROI. However, for small aircraft, the lease options all over the world are restricted. Moreover, the leasing companies are hesitant to invest in India because of the inexplicable move by the government to not recognise the legal ownership right of these companies over the aircraft being leased out by them. There have been few cases where, during the bankruptcy filing, the government viewed the planes as assets of the core business and not permitted the leasing companies to claim their aircraft back. These moves are against standard practices and scare the leasing companies who invariably shy away from leasing in India. The government needs to review and amend their policies to reassure foreign leasing companies and win their trust in bringing their business to India without any fears. Being an ‘essential service’ in its true sense, this status needs to be acknowledged and granted to the aviation industry. Special government loans at a maximum 5 per cent ROI need to be sanctioned especially for RCS aircraft. d fleet of aircraft (mixed with business jets which cannot be fielded in the RCS). Therefore, they need to be permitted to carry out RCS operations under their current NSOP licences thereby reducing the costs associated with setting up of ground support organisations. In fact, the US Federal Aviation Administration (FAA) allows small aircraft under Part 135 (NSOP equivalent) operations as scheduled commuter passenger flights. 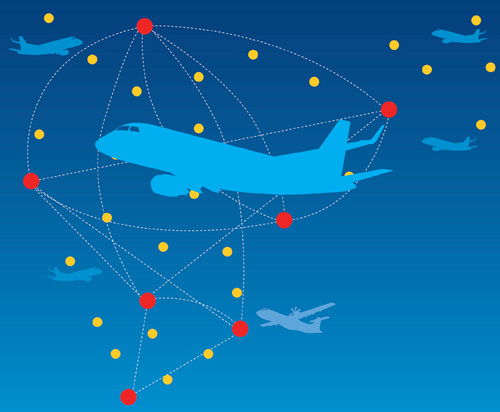 This has worked very well for US for providing last-mile remote connectivity with NSOP equivalent operators (with mixed fleets: business aircraft and commuter aircraft). Therefore, there should not be any safety consideration for Directorate General of Civil Aviation (DGCA) to insist on separate licences for current NSOP-holders. The only reason for the insistence could be the disparity in rights given to RCS operators vis-à-vis the NSOP operators, viz, “right to self-handling and self-maintenance”, “import duty exemptions” and “government concessions” being offered in the RCS. As has been the case of business aviation strongly representing in all forums against these disparities, it is about time that these are totally removed from all types of commercial operations. Till then, notwithstanding these disparities, by a mere issue of a RCS certificate to a particular tail number, exclusive provisions for RCS aircraft can be ensured. This allows for a more efficient fleet utilisation. We must remember, as would be highlighted in the next paragraph, the RCS brings with it a huge demand of aviation professionals, and by insisting on separate RCS licences, we are accentuating the problem further. Please refer to Table 2 for the growth envisaged in regional aviation. For successful implementation of the scheme, availability of trained manpower and an infrastructure to support these operations is a must. Presently, we have only plain airstrips and a kitty of few surplus copilots. Trained manpower in terms of pilots in command, endorsed AMEs, ATC controllers, cabin crew, operations dispatchers, security and handling staff, etc., are all in acute shortage. Current fast paced expansion of scheduled airlines is only adding to the problem. It is pertinent to mention that the table only depicts the growth of aircraft on the proposed RCS routes. To absorb such travel, there will be a corresponding increase in air travel in the current scheduled airline routes as well. Though the government has announced an aviation university, the project will take time and until that happens, the government needs to have an interim plan on how it is going to address this shortage. We cannot keep depending upon foreign TRTOs for hand holding; firstly they may not be as passionate as us to ensure that the RCS becomes successful, and secondly, going to foreign TRTOs increases training costs. ‘Make in India’ programmes in ‘Skill Development’ is the only economical manner to address the issue of training. Opening up of private training institutes and arranging ‘Train the Trainers’ programmes by even inviting instructors from abroad will ensure that we have adequate trainers in India to train budding aviation professionals. There is a huge pool of retired and talented defence aviation professionals who could not only fill this shortage but also assume the role of trainers. The government would do well by encouraging some of these training institutes by ensuring that provisions are made for such institutes to be established by the private sector and then quick processing of approval letters takes place at DGCA. Experience states that it does not take much time for the physical development of infrastructure. Again, like training, it is the time taken for obtaining various approvals from government ministries, including Aviation, Home, Defence, Communication, External Affairs and some times even town planning departments, which discourages the investors from participating in this activity. 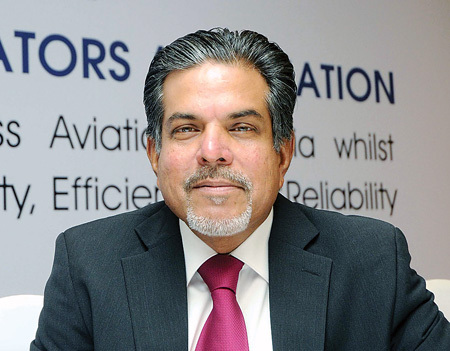 It is time that the Ministry of Civil Aviation (MoCA) develops an all-ministerial council. This should be true for all ministries where there is heavy dependence on each other. Aviation is one such industry whose function depends on the cohesive support of six to seven other ministries. A representative from each of these ministries needs to be onboard the inter ministerial council at MoCA to coordinate and reduce red-tapism. For in-house regulations and policies whether these are meant for opening up of new MROs or airport handling or an ATF facility at a RCS airport or anything related to aviation training, infrastructure and support, there needs to be a cultural shift in making rules and procedures; simple, encouraging and implementable. More on this topic follows in the paragraph on ‘Regulatory Approach’. Separately, the success of these operations would depend upon majority of the RCS airports to be instrument flight rules (IFR) enabled so that seamless, 24x7 operations can be ensured. A quick implementation of GAGAN enabled approach procedures would ensure that the IFR approval of these airfields is hastened. 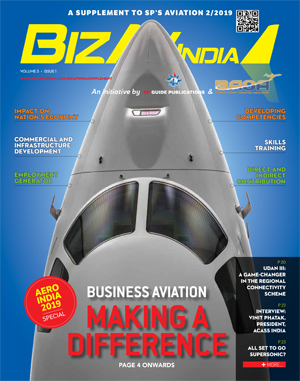 Tax, DGCA regulations and ease of doing business are the three most important areas to address, not only for RCS but also for the future expansion of other aviation assets on the horizon. Tax is not covered in this article but as a guideline, simple and liberal tax regime should always be adopted in the case of aviation industry, if only because of the maximum exponential effect that will be created by the industry for nation building. On regulation approach and ease of doing business, much has already been said over past so many years. While a few suggestions have been considered, many still need to be acted upon. It is extremely unfortunate that despite the industry’s constant emphasis, most of these suggestions remain unheard or if heard, dismissed as mere hazards of doing business. 50 per cent additional VGF support to 10-19-seater aircraft. 25 per cent additional VGF support to 40-seater aircraft. Underwriting of seats by state governments. Enhance capacity of small aircraft and permit single-pilot operations in single-engine commercial aircraft. Remove disparity within three categories of commercial air transport operators. Facilitate opening of private training institutes. Utilise retired defence aviation professionals. All-ministerial council in the ministry to process cases for approvals by other ministries. Rules and procedures to be made simple, encouraging and implementable. Simple and liberal tax regime. Institutionalised interaction with all stakeholders. Follow world standard practices and avoid imposing additional and unnecessary restrictions. Early implementation of eGCA System. Review of standards of service and strict implementation. 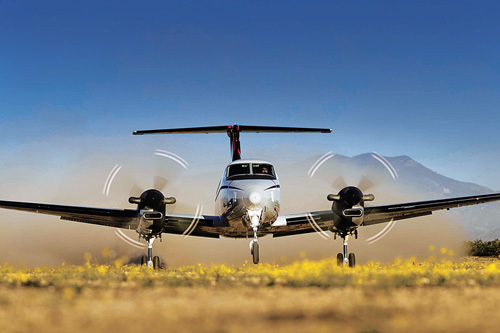 Follow the principle: Keep aircraft in the air. Institutionalised interaction with all stakeholders. One of the most heartening part of the RCS was the willingness of MoCA to involve all stakeholders in decision making. By excluding them from decision-making, the government cannot encourage participation simply because they will not be able to convince private players to participate. It works to nobody’s advantage to not have any interaction or to limit interaction to the bare minimum just for satisfying the records. Unless these interactions are not institutionalised and monitored at highest levels, little will be achieved. Recently constituted, national committee of experts with representations from all stakeholders, under the chairmanship of Director General at DGCA, is a welcome step and the industry will be heavily relying on the committee to resolve some of their operational issues. Follow world standard practices and avoid imposing additional and unnecessary restrictions. Either FAA or EASA (European Aviation Safety Agency) is recommended. Between the two, FAA is recommended because of amount of progress made by them in the field of aviation. If not, the industry should know what Indian standard conditions preclude adoption so that those could be addressed. Otherwise, shortage of experienced and trained manpower including pilots in command would never end. We would never be able to expand unless we exploit the technology that is meant to help us expand. We need to be pragmatic and have a balanced approach without compromising safety but also without undue conservatism and cautiousness. Ease of doing business. Following critical initiatives would help the industry immensely. — Online, i.e: eGCA System. The project should be given utmost importance and momentum with top leadership monitoring it. — Review of standards of service and strict implementation. In India, CAP 3100 takes six months as most of the procedures require aircraft to be grounded. Process can be easily modified to ensure that the aircraft gets grounded only for physical inspections, demonstrations and proving flight. China realised that procedural bureaucratic delays were causing hindrance to the growth and after they took measures to ease their regulations, time period for grant of licences was drastically reduced from two years to less than a month (refer China. http://www.ainonline.com/aviation-news/general-aviation/2016-05-25/china-embraces-general-aviation). — Outsourcing work. World over, regulators have been negotiating manpower issues by outsourcing some of their basic functions. FAA has gone a step further by outsourcing even the audit and certification functions to DARs/DERs, etc. In India, for instance, first stage of scrutiny of CAP 3100 certification can easily be considered for outsourcing. Likewise, some of the basic analysis and studies can be outsourced. Currently we are already outsourcing our medicals to various institutions, our examiner functions are also outsourced including those approved from other ICAO states/it could always be applied to other functions, as well. An improper work assessment is least efficient and is the main cause of government desks being quintessentially overburdened with paper work. Once outsourced or seconded, establishing faith in that manpower is essential to decentralising authority. For instance, the newly appointed FOIs could be progressively given authorities for decision making and signing. This would immensely contribute to the ease of doing business. Additionally, the government’s stance towards clamping down on incompetency needs to be emulated with appropriate powers given to the DG to place accountability and fire non-performers with ease. There are many such examples when during unofficial interactions; the DGCA officers have acknowledged the role played by few non-performers with a poor attitude. They are responsible for hindering and stunting growth of a vertical that they head and as a fall out, the aviation business as a whole is at the losing end.